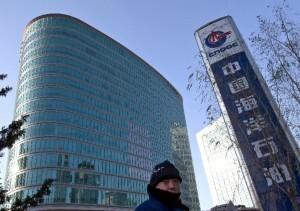 China has announced an investment of 80 billion yuan ($13.07 billion) in 2013 in exploring oil and gas resources. China’s Ministry of Land and Resources says such investment has risen steadily in China over the past years as the country moves to reduce dependence on imports and ensure security of energy supply. Official figures state investment rose from 19.0 billion yuan in 2002 to 67.3 billion yuan in 2011 in exploring oil and gas fields. In the 2008-2011 period, some 5.01 billion tonnes of petroleum reserves and 2.6 trillion cubic meters of natural gas were discovered. China’s dependence rates on imports of oil and natural gas came in at 58 percent and nearly 30 percent respectively in 2012, according to a report by the Economics and Technology Research Institute of China National Petroleum Corporation. According to a Wood Mackenzie Report, China will overtake the United States as the world’s biggest crude oil importer by 2017. China is on track to spend $500 billion on crude oil imports by 2020, far outstripping the peak cost ever incurred by the United States on crude imports of $335 billion, Wood Mackenzie said in a report.